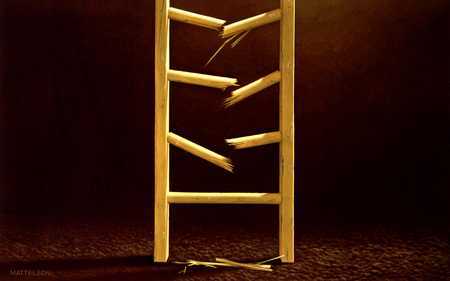 Value ladder in marketing; Does the marketing team work well enough? Before talking on value ladder, lets see a dilemma. It has been many times that I have been hearing from the staff at the meetings with various business executives. Many managers who disclose their business to determine its status, separate themselves from personnel. They feel that they fail to achieve goals due to negligence or fault of employees. For example, the CEO of a company in the food industry claimed that he did not see the marketing team to really work in the right direction. He thought he could not properly assess the marketing staff because he was not profound in marketing. It was appalling to him that he could not be sure of the alignment of marketing efforts with other organizational units. Does the marketing team in your company move in the right direction? Basically, for a CEO with a specialized knowledge other than marketing, what criteria are there to assess the marketing efforts? how can a CEO ensure that the marketing team is entitled to receive salary and rewards? Does the team must have modification programs? we do not currently talk about punishment and threat. Before changing and modification, there is no time for punishment in the organization! These two bases of value ladders, in parallel, can lead the company up-to-the-top. Till the customer lives, needs and satisfaction are defined and developed. The stairs of this value ladder are the executive activities of the marketing unit. To the extent that the marketing team can communicate effectively between the needs identified and the organization’s efforts to meet them, the number of these stairs is higher. Like any conceivable ladder, more stairs, the shorter the distance to take. That is, improving the product gradually, resulting in less cost for the organization. It means the effectiveness of the marketing team for understandable ideas for customers. I have made this example repeatedly for senior executives of government agencies and private companies. They would not feel that this is a huge, alien, and unwilling task. Senior managers should be able to understand the links between activities on this ladder in reports from marketing teams. In other words, for a manager to be sure that the marketing team is working, it should be clear to him that spending time and money on a particular activity is a connecting point in the value ladder. Are the activities in the way of knowing customer needs? Is there a coordinated effort to satisfy the needs previously identified? Is it an activity that connects these two important things? No matter how busy you are, it’s still up to you to make sure the marketing team is working the right way. You can be expected about this important thing – whether you are a mastermind of marketing management or not!